Welcome back to Nursery Rhymes for Easter. If you missed Days 1 and 2, you can find activities for Humpty Dumpty and Hot Cross Buns. These nursery rhymes can be used any time of year but they fit very nicely with Easter themes of eggs, baskets, lambs, etc. 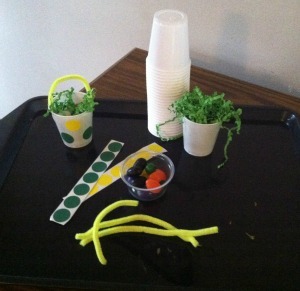 This week we've been enjoying the sing-song verse of a favorite nursery rhyme, "A Tisket, A Tasket, a green and yellow basket..."
Of course, we had to make a green and yellow basket. We decided to go tiny on our basket making. We made mini-green and yellow baskets. 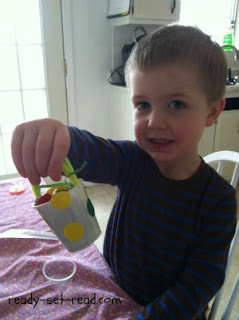 These are super simple for preschoolers to make. 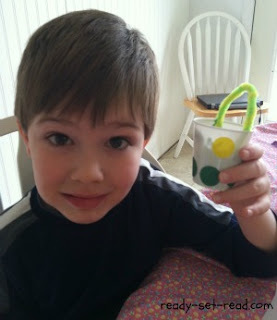 To make your own green and yellow basket, you'll need small plastic cups. We used the 3 oz size. You'll also need green and yellow sticker dots, found in the office supply section of most stores. 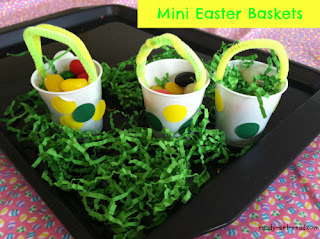 You'll need about 1/2 a pipe cleaner for each basket and some easter grass. If you want to put a snack (like jellybeans) in your basket, you'll need to gather that too. 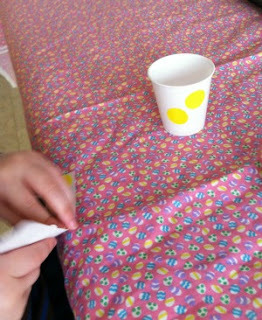 Let your preschoolers put green and yellow sticker dots all over the baskets. Then help the children to bend the pipe cleaners and tape into place. Kids love to fill up the baskets. The entire time my boys worked, they sang the nursery rhyme. Well, whenever they weren't stuffing jellybeans in their cheeks. 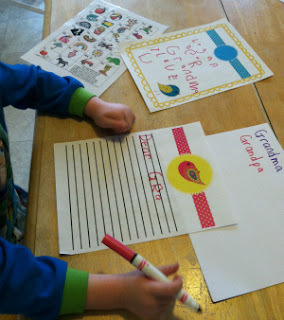 Another fun thing we did was to write a letter to a friend. Don't worry. We didn't drop it. I made these fun Spring themed stationery pages to encourage my boys to write. 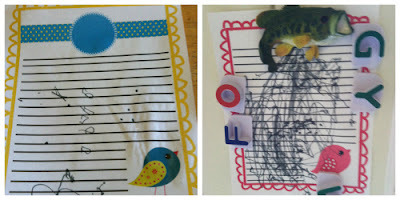 When kids have fun papers, stamps, stickers, markers, they are more likely to explore writing! I am offering these Spring stationery pages for free. 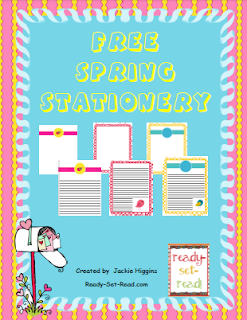 Simply click the image below to download Free Stationery from my Teachers Pay Teachers Store. I'd love if you'd follow my store for more freebie notifications. My oldest is very concerned about having it "right" in his writing currently. My three year old is much more willing to take chances with exploring writing. He's very proud of his scribbles and hangs them up in a very secure fashion. Consider having your child write a nice note to a friend or family member and deliver it along with the green and yellow basket! A fun Easter game for toddlers. 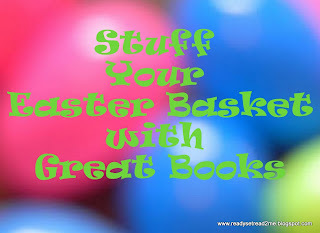 Stuff your Easter basket with good books.